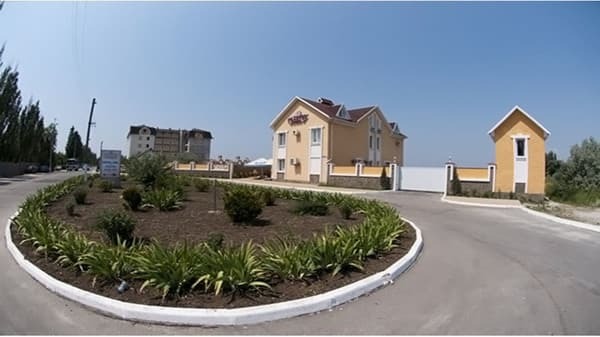 We are glad to invite you to have a summer rest at the seaside in the hotel "Galateya", which is situated on the shore of the Sea of Azov. 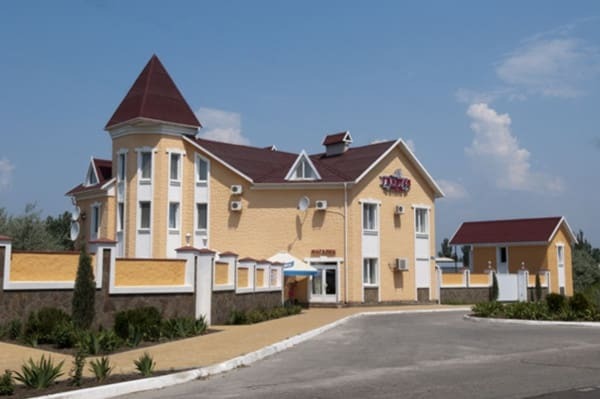 The Azov shore has always been a favourite health resort for a huge amount of people and the most available zone of the full family rest. We are ready to take care of you, to give you warmth and comfort. 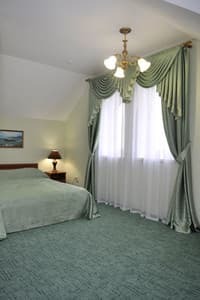 A three-storeyed building of the hotel disposes comfortable single and double rooms with all the conveniences - hot water, a satelite TV, a split-system, a fridge, utensils for 2-4 persons, a heating floor in the shower room and a guarded parking. Our cooks will be glad to prepare for you delicious breakfast, dinner and supper. On the ground floor there is a shop and a cafe with a summerground. 50 m from the hotel there is one of the broadest beaches of the Berdyansk Spit. 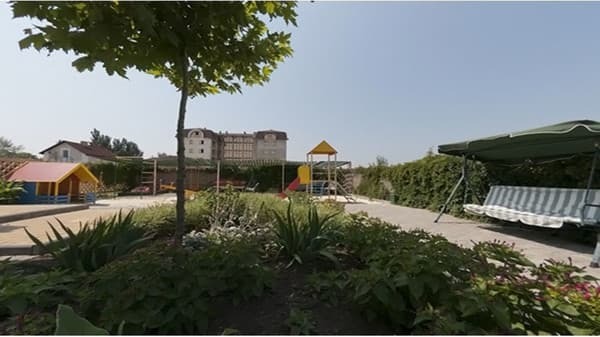 Within 5km there are food and merchandise markets, a lot of cafes and night clubs, a post with the department of international talks and with a chemist's shop, an amusement park, a groung for paintball, a water park, which is by right considered to be one of the best parks in Ukraine. 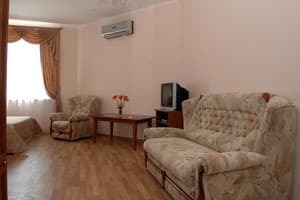 Description of the room: Double bed, coffee table, bedside table with mirror, wardrobe, 1 bedside table, refrigerator, air conditioner. Description of the room: The room consists of a bedroom, a living room and an entrance hall. Double bed, double sofa, armchair, coffee table, chest of drawers, two bedside tables. In the hallway there is a wardrobe and a mirror. 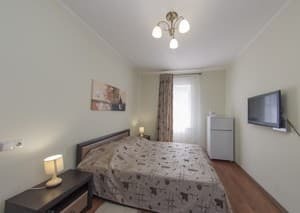 Description of the room: Double bed, double sofa, armchair, coffee table, wardrobe with mirror, two bedside tables, refrigerator, air conditioning. Description of the room: The rooms consist of a bedroom, a living room and an entrance hall. Double bed, double sofa, 2 armchairs, coffee table, chest of drawers, corner chest of drawers, a wardrobe, two bedside tables, a refrigerator, air conditioning. 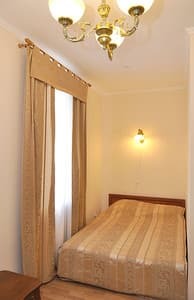 Description of the room: The rooms consist of a bedroom, a guest room and an entrance hall. Double bed, double sofa, armchair, coffee table, chest of drawers, wardrobe with mirror, two bedside tables, refrigerator, air conditioning. Description of the room: The rooms consist of a bedroom, a living room and an entrance hall. Double bed, double sofa, armchair, coffee table, chest of drawers, two bedside tables, refrigerator, air conditioning. In the hallway there is a wardrobe and a mirror. Description of the room: The room consists of a bedroom, a guest room and an entrance hall. Double bed, double sofa, dining table, 3 chairs, three-winged wardrobe with mirror, two bedside tables, refrigerator, air conditioning. Each room has one extra bed. The cost is 50 UAH / day. On the ground floor of the hotel there is a shop and a cafe with a summer terrace. 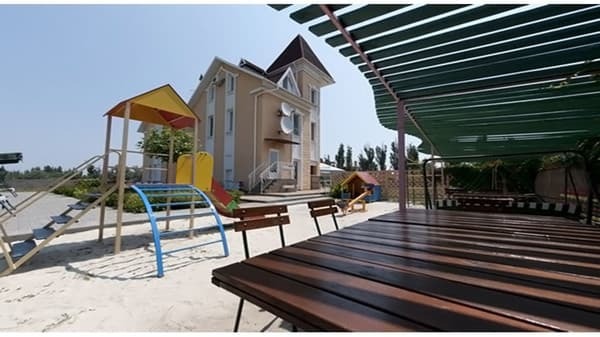 Is situated 50m from one of the broadest beaches of the Berdyansk Spit. From the railway and bus station in Berdyansk by bus number 15 to the stop "Average Spit".